If you have the luxury of a home office, then you know how important its aesthetic qualities can be for your productivity. It’s hard to work in a space that feels cramped, dirty, dark, or in some other way distracting and uncomfortable. You’ve probably already spent some time thinking about furniture, walls and lighting options, but have you thought much yet about flooring for a home office? 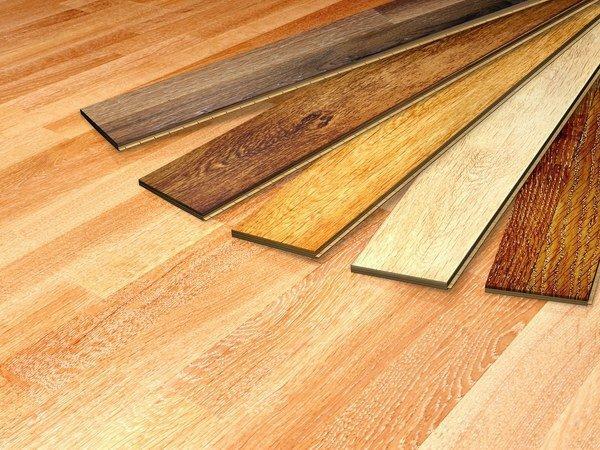 There are a lot of great selections out there when it comes to flooring, such as materials that can look great, give you a comfortable place to work and don’t break your bank account. As you think about these choices, you’ll want to keep your budget in mind, but you also need to consider other factors as well. You’ll probably be walking on it a lot, and you might have a chair that rolls on it as well. You need to know how your flooring choice will hold up under conditions like this. Some materials look better or make more sense in a smaller area. However, when you’re working with a smaller area you can consider more costly materials without going over budget. A smaller room can be an advantage to your finances over the long term. What is the shape of the floor area? Sometimes, a home office is simply an extra room. Other times, though, they can be fashioned out of the nooks and crannies that are left over when other rooms are taken. Because of that, you can sometimes have oddly-shaped areas to cover. The difficulty in covering those areas might also dictate what flooring materials make the most sense. So, while taking those factors into account, there are many options to choose from. Read on for a few ideas. Laminate flooring is a perennial favorite with many people, and for good reason. Laminate is typically budget-friendly, comes in a wide variety of styles and colors, and holds up very well under extended use. Some homeowners say that laminate is a “louder” material, so if your office is on the second floor it can be quite noisy for those underneath. However, for the price and ease of installation and maintenance, laminate is really hard to beat. Still considered by many to be the pinnacle of beautiful floors, hardwood flooring is a great choice for a home office. Yes, it can be more expensive, so you need to take that into consideration. Keep in mind, if you’re flooring a smaller space, than it gets easier to swing something hardwood. These floors are made to last, and they look beautiful while they do it. A hardwood floor will withstand anything you put it through, whether it’s rolling chairs, pacing, carrying and dragging heavy furniture–you name it, these floors can take it. Unlike laminate flooring, hardwood can be polished and shined and made to look downright spectacular. Cork is a relative newcomer to the market, but its popularity has risen in the last decade due to several reasons. For one thing, it’s a very comfortable material. Cork is softer than hardwood, which means it feels much better on which to walk. Don’t let that softness fool you, though, cork is tough, and it holds up well under duress. Cork comes in a variety of styles and colors, and this type of flooring often has markings and design elements that give your space a unique quality that you won’t find anywhere else. Cork is also an excellent insulator of sound as well as heat. Cork can help keep your office space quiet and warm, which allows you to focus on your work. It’s also mold, mildew, and fire resistant. Cork is impervious to liquids so you can clean up easily. Ceramic tile is another great choice for your home office. Ceramic comes in a variety of colors, styles and shapes. These design elements let you pick and choose until you find exactly what fits your space the best. In addition, tiling offers you the option of a mix-and-match approach, where you can match colors or shapes to create unique patterns and designs in your floors. No other flooring option gives you so much in the way of choice and variety. Additionally, ceramic is extremely tough and durable as it requires virtually nothing in the way of maintenance other than sweeping and mopping. It’s also relatively easy to repair. If a tile becomes damaged, you do not need to bring up whole sections of flooring just to get to it. You can easily remove the single tile and replace it. All it takes is just a little skill and effort to get it back to looking like it did before. All in all, there are a lot of great options for you to consider when shopping for flooring for your home office. When you’re ready to look, don’t hesitate to contact a local flooring pro to help you make the best decision.